I was a bit slack last week and I didn't do a Library Loot post. As a result I have two weeks worth of loot. This is important to note because otherwise it looks like I have a LOT of loot! The scary thing is, I just checked my account and there are already four more items waiting to be picked up. Tempted by his Kiss by Tracy Anne Warren - This is the first book in her current Byrons of Braebourne series. Battle Royale by Koushun Takami - We were talking about Japanese lit during #spbkchat a few weeks ago, and this was mentioned along with the comment that it is a more grown up version of The Hunger Games so I thought I might try it out. The Reckoning by Kelley Armstrong - the third book in Armstrong's YA trilogy series which is set in the same world as her Otherworld series but features different characters. I Think I Love You by Allison Pearson - I read this author's first book and didn't see what the fuss was all about, but I have heard lots of good things about this one so I am going to give her another chance. I don't know why, but I really like books that echo song titles and so come with their own mental soundtrack. The Empress of Ice Cream by Anthony Capella - this is reloot. I have mostly liked Capella's books so hopefully I will get a chance to read it this time. The Russian Concubine by Kate Furnivall - I just finished reading The Jewel of St Petersburg which is the prequel to this book. That finished quite dramatically and made me want to reread this book pretty much straight away. A Hat Full of Sky by Terry Pratchett - the next book in the Discworld YA series feature Tiffany Aching. Shadowfever by Karen Marie Moning - Final book in the Fever series. Gale Force by Rachel Caine - I have borrowed this a few times. I really need to read it so that I can finish the series. Guards! Guards! by Terry Pratchett - Yes, more Pratchett! Anna and the French Kiss by Stephanie Perkins - Lots of excitement about this one, so I am looking forward to reading it. 13 Little Blue Envelopes by Maureen Johnson - I have wanted to read this one for ages. I have heard that there is a follow up so it prompted me to request it again. 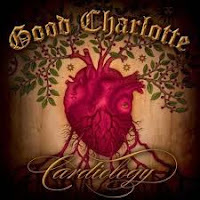 Cardiology by Good Charlotte - I never really realised I was a Good Charlotte fan until recently or maybe it is just that I like their newer stuff. I loved Like It's Your Birthday, and so I thought I might borrow and album to see if I like whole albums or not. And just because, here is the video for that song. I loved The Russian Concubine. It was the first of the series I read. I've also read Under a Blood-Red Sky (about a russian labor camp) and wonder if this is the same book as The Jewel of St Petersburg. I know the book exists under a different name too but not sure what it is. Nope. Different book. The other title for Under a Blood Red Sky is The Red Scarf (I think). There is also a sequel to The Russian Concubine which I haven't read yet, and I am VERY excited at the sound of her next book. Lots of good looking books there! I am going to be reading the first book in the Fever series when it comes in for me at the library. I really need to read some Terry Pratchett this year, since I haven't even considered him so far. I really need to figure out where I am in the Morganville Vampire series so I can catch-up. Haven't started her adult series yet. I have owned The Russian Concubine for a while and still not read it. Do you think since I haven't I should read the prequel first? I also have to finish the Armstrong trilogy. Why are you reading the Fever series? I really don't know that you will like it. I am a bit torn on the Furnivall books. The Russian Concubine was written before The Jewel of St Petersburg but there are a couple of the same characters in both books. I would lean towards Jewel first I think. I utterly ADORE Tracy Anne Warren! She's a favorite! Enjoy!! I really liked Allison Pearson's last book, and am looking forward to reading Anna and the French Kiss as well. Great loot! I love Battle Royale! I read it years ago after watching the movie that was based on it. It's even the basis of s series of Mangas. It is pretty violent though. I keep seeing reviews for the Pearson book everywhere! Like you, I was a bit underwhelmed by her first book so I'll probably give this one a pass. I have heard such interesting things about Battle Royale, and am going to be interested in hearing what you think of it. Looks like you got a great bunch of books there! I love the cover art on The Empress of Ice Cream. I'll have to check out this author. Yay Pratchett! Enjoy your loot. What a great selection! What are you going to start with first?!! Lol Like Good Charlotte's music. I so want to read Anna and the French Kiss! I hope you love Shadowfever! Yay for lots of Pratchett! Both of those are excellent. I have been such a library slacker, lately, I signed up for a few blog tours, got a lot of gift cards for the holidays and have just generally, loaded my shelves up with too many books I must read before I can borrow any more! 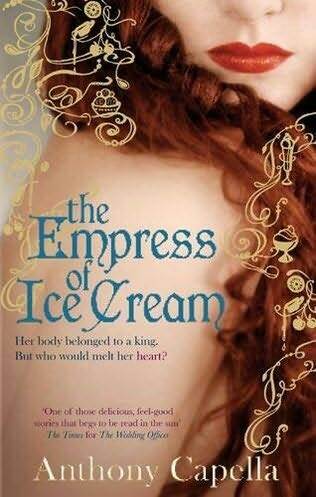 I love that title "Empress of Ice Cream" If the phrase wasn't just scooped straight out of a poem it needs to be slathered onto one straightaway. Ummmm. Is 13 items considered a lot? 'cause I have 35 items checked out at the moment with 5 more waiting for me and that's on the low side. Joy Renee, this is only what I borrowed in the last two weeks. It doesnt count all the items I already have out. At the moment I have 51 items out, 5 to pick up and another 15 on request. Pam, I do keep looking at the books I own and wonder how I am going to fit them in! Cath, I am looking forward to both of them. Christine, I am not sure what my reaction is going to be to Shadowfever. I have been lukewarm on the rest of the series, but intrigued enough to keep reading to find out the truth about Barrons. Jenny Girl and Linda - the title is definitely enticing isn't it. Book Gatherer, I think it will be Shadowfever because that is a shorter term loan. Marcia, I have read a few of his books. I really liked The Wedding Officer, and another one. Wasn't so keen on The Various Flavours of Coffee. Zibilee, I hadn't heard a lot about Battle Royale but when we were talking about it on Twitter I was definitely intrigued. Claire, there was such hype about the first Pearson book at the time, but it does seem very much a book of it's time. Will be interesting to see how this one holds up. Kate, I did see the manga novels as well, but I will start with this before deciding to go to those. Motheretc, a lot of people I know really like Anna and the French Kiss. I have high hopes for it. Gina, I like Tracy Anne Warren's books too. I don't think there is necessarily too much originality in her books but they still manage to feel pretty fresh regardless. LadyQ, I really enjoy Furnivall's books generally, so would definitely recommend that you try one. In that case, it's a good thing you borrowed it from the library as opposed to buying it..
My Loot link is up! I read Anthony Capella's Wedding Officer and the Various Flavour of Coffee, both are good read. So the Empress of Ice Cream sounds juicy to me! Enjoy your loot, they look great! I really enjoyed Anna and the French Kiss. Happy reading! I've heard a lot of good things about Anna and the French Kiss! Hope you enjoy your reads! You have so many wonderful books to look forward to! I'm dying to read Anna and the French Kiss! Can't wait to see what you think of it :D And YAY PRATCHETT! !